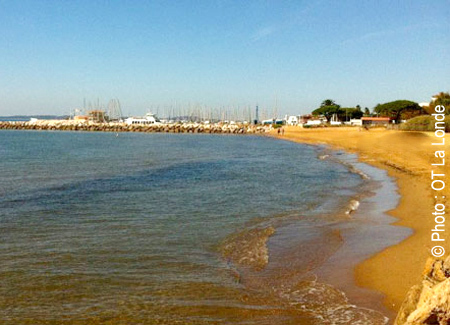 Plage de Tamaris in La Londe-les-Maures is located very near the campsite, to the East of the port. 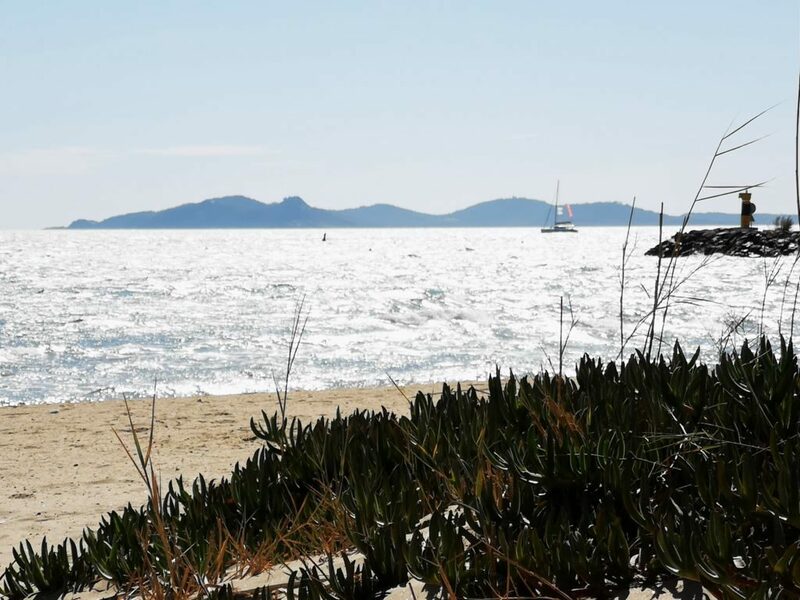 It offers delightful views over the Golden Islands (Porquerolles, Port-Cros and Le Levant) and the side of Bormes-les-Mimosas to the left. East side of beach: reduced mobility access (direct access to sea and bathing wheelchair provided by Handi Planètes Loisirs). NB: Dogs are tolerated on one area of the beach.